I don’t know about you but my life is on my laptop, truly. So you would think I would take better care of it, wouldn’t you? I mean considering the massive hassle that would ensue if it were to be lost. sigh. 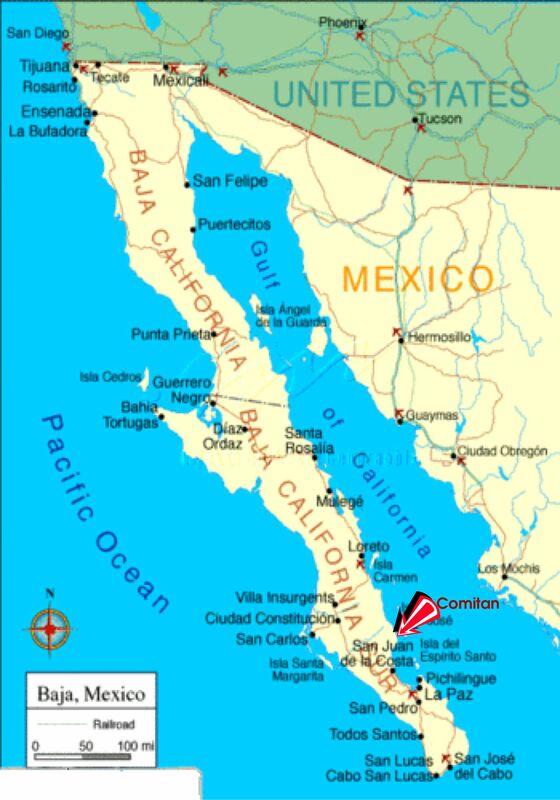 Baja, Mexico had been on my radar for some time. I was attracted to its wild west reputation and, except for Los Cabos, relatively untainted by obnoxious tourists. I had two weeks off for a r&r kinda holiday and was almost ready to pull the trigger on San Miguel Allende when I noticed my eyes kept roving to the left of the map. Baja left. February in the mountains of Mexico vs February on the coast where the temp. were averaging 30… Well, before I knew it, my finger hit ‘book it dano’ and I was winging my way to the land of sand and cacti. As with all my best laid plans, this one didn’t go the way I expected. I made it to the Phoenix airport without screwing up but then things went sideways. I left my precious laptop on a bench at a gate and didn’t realize until I was on board my flight. The staff was excellent, they held up boarding so I could scurry back to where it was last seen, to no avail. Customer service desk turned up nothing. I couldn’t miss my plane so I returned with tears in my eyes and hurt in my heart and feeling like a loser. The flight attendant made sympathetic noises and assured me she would take care of reporting it to their Lost and Found department. The flight to Cabos was not fun. 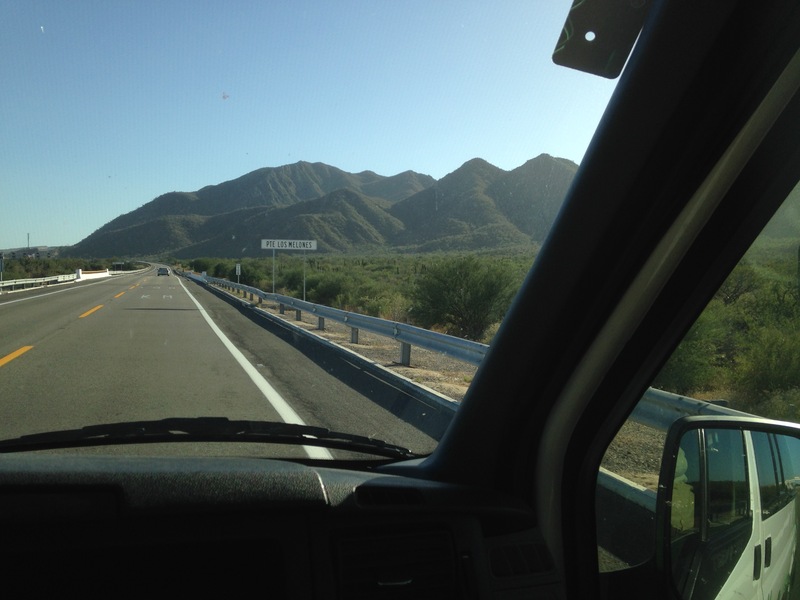 I had arranged to take the shuttle to La Paz and huddled in the front seat feeling sorry for myself. As we made our way up the west coast to Totos Santos and then across to La Paz. I barely registered the wild waves of the Pacific nor the troughs between hills covered in scruffy bushes and cacti . I grabbed the first taxi I found at the bus station. It was late and I was exhausted so there was no attempt at haggling. It was a much longer drive than I expected… and darker. Turns out I would be spending the next two weeks in the bedroom community of Comitan. I knew that I would be outside of La Paz but not quite this ‘out‘. There were no restaurants, bars, nor grocery stores. There was, however, a beach outside my door, a lovely landlady in the next house and plenty of dogs to spoil. Dhorea, an expat from Coquitlam (! ), was kind and would drop me off at Walmart to buy groceries when she went into town. She even took me to her book-club… that one was a bit self-serving since they were discussing Outlander and none of them liked it except for the woman who suggested it. When she found out I loved the book Dhorea insisted I come so the woman would have someone to discuss it with. LOL. I had a wonderful time drinking excellent wine and yakking books with the Ladies Who Lunch. Dhorea also lent me an old pc laptop and one of her dogs to walk. She also let me drive her quad to the red dunes where we hung out and laughed at the dogs frolicking in the water. She made my vacation, which could have been a disaster, ever so special. The plan had been to write and do an on-line web design course and read. The Goddess had a different plan. Instead I made a friend. I call that a win. Well of course there were complications that ended up with me, on the 2nd last day of my vacation, on a city bus for hours to pick it up at the fed ex depot but got it I did. I almost hugged the Fed Ex guy but since he had a gun I thought better of it. I am SUCH a lucky lucky person and I am eternally grateful for the army of Guardian Angels that always have my back. So this is the latest chapter in the TC book of travel screw-ups. All’s well that ends well.. or something like that. I left my cell charger at a hotel in Costa Rica and realized it when I was.on a tour bus to the Pacific coast. The guide called the hotel and they’d found it. They offered to send it to me by taxi for abut $100. Since a replacement charger and battery would have been $60, and I had many more photos to take, I authorized the taxi delivery to be paid to the driver on receipt. Well, the driver and his entire family arrived with it and it became a true cultural experience as well as a contribution to the family income. ok, that is a nice story! $100 well spent I would say.